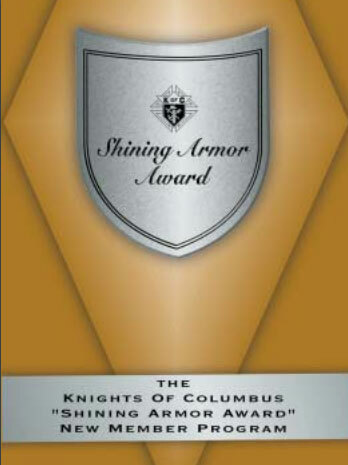 Awarded for service to the Order with distinction during the first year of membership, the “Shining Armor Award” is given to those men that exemplify whata true Knight of Columbus is. 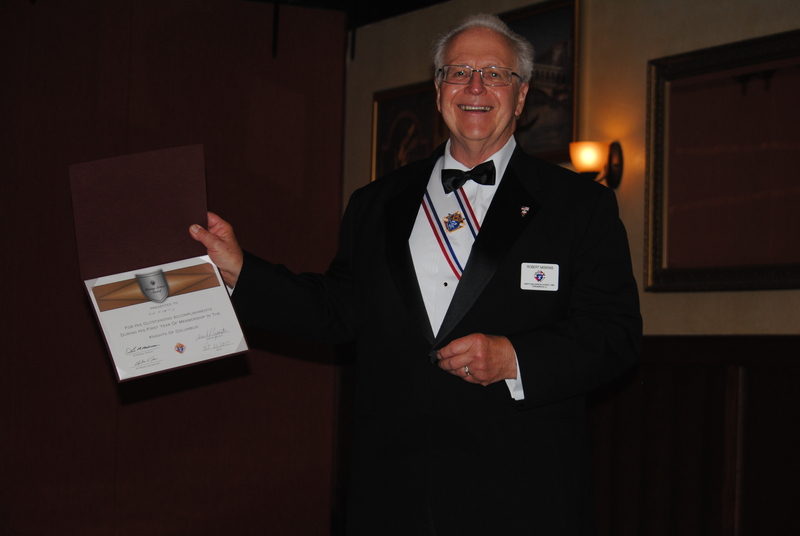 The concept of the “Shining Armor Award” program is to get new members active in the many facets of the Knights of Columbus as early as possible and assist in maintaining that activity and also honor them as a valued member of our council. Be involved in at least 3 council service programs. Attend at least 3 council business meetings. Receive their Second and Third degrees. Meet with their council’s insurance representative. Recruit at least one new member. At the 2017 Past Grand Knight dinner, held October 21, 2017 at Morretti’s Banquet Hall, Grand Knight, Frank Esposito, presented Robert Miskinis with the award for his contributions to the Order to date. Congratulations Robert and thank you for you service to Mary’s Millennium Council.